History in the making. 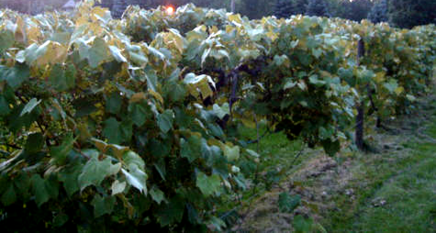 . .
John Christ Winery began producing wine in 1946 when the original owner, John Christ, came to Avon Lake from Macedonnia to cultivate vineyards and a fruit farm situated on an estimated 27 acres of land. When Christ retired from wine making, our current vintner Jack James began experimenting with the wine recipes and cultivated a new batch of exceptional wines. His talents are so remarkable that his wines continually bring home medals from the Ohio State Wine Competition for John Christ Winery. 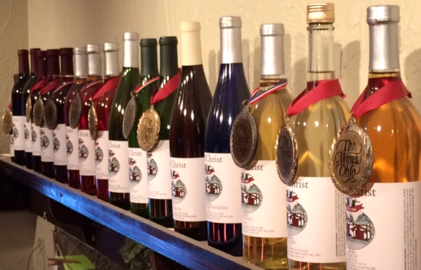 At the most recent competition 15 of our wines were entered and all earned medals, including 3 gold! John Christ Winery's heritage and rustic beauty. John Christ Winery bottles wine four to five days per week, all done by hand. One by one, each bottle is filled, sealed, labeled, and boxed in a mini assembly line. Our wines are available at our retail sales room located in the winery itself. Customers who appreciate quality locally produced products love our wines because they get the satisfaction of knowing they are getting a handcrafted wine along with the enjoyment of John Christ Wine's award winning taste! 13,500 to 15,000 gallons of wine yearly.